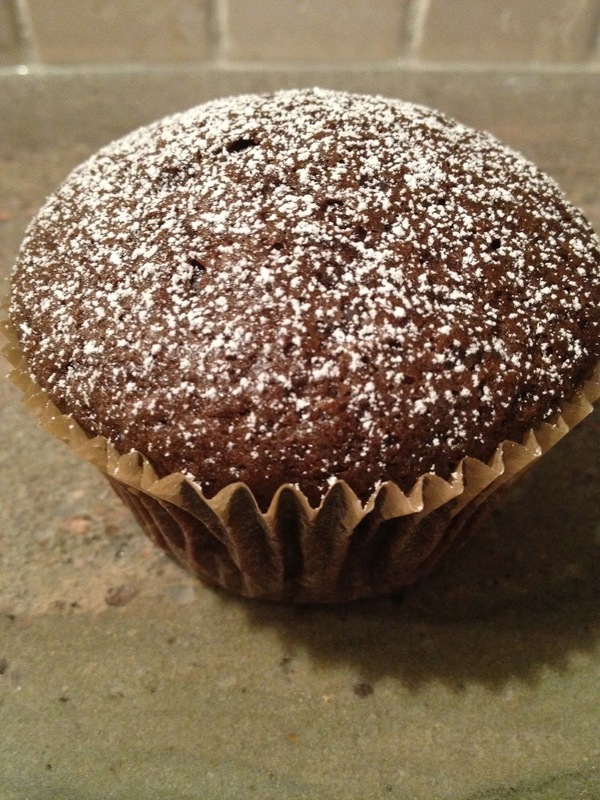 This is our go to recipe for all of our chocolate baking: mini cupcakes, cupcakes, or cake. Everyone who tries any of the above says (a) I can’t believe this is vegan (b) it is so moist! and (c) can I have the recipe? Here it is! Sift the flour and cocoa powder into a mixing bowl and then add the rest of the dry ingredients and mix together with a fork. Add the wet ingredients, and using a hand mixer or a big spoon, mix together until really well blended. Pour the batter into the pan depending on what you are making and cook according to the times above, give or take a few minutes depending on your oven and the weather. A toothpick should come out clean. Dust with powdered sugar. No matter how you bake it, you will love it!